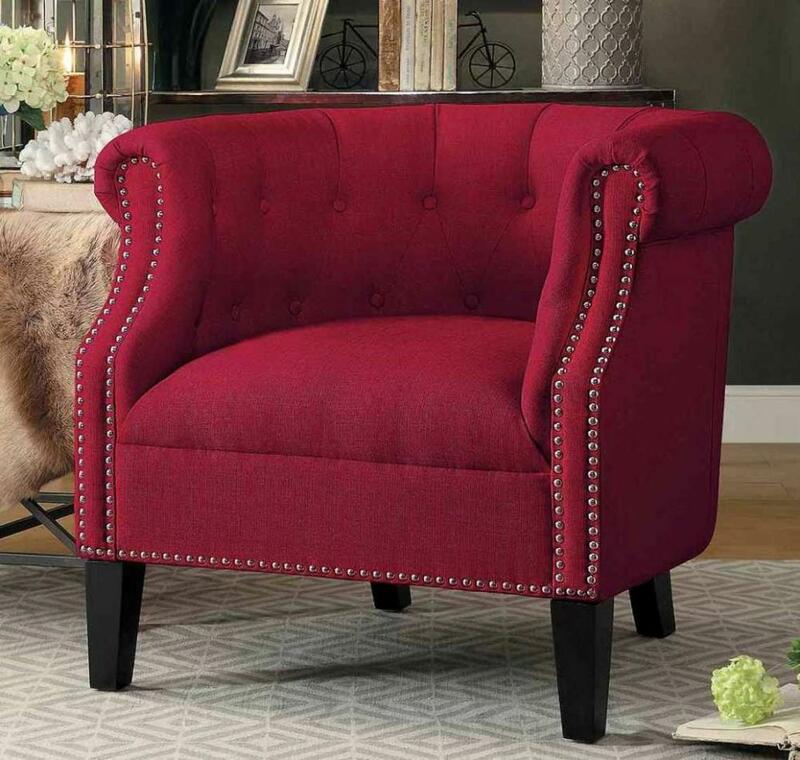 The rounded back of the Karlock Collection gently cradles while nail-head detail and button tufting provide distinct accent to this decorative chair. 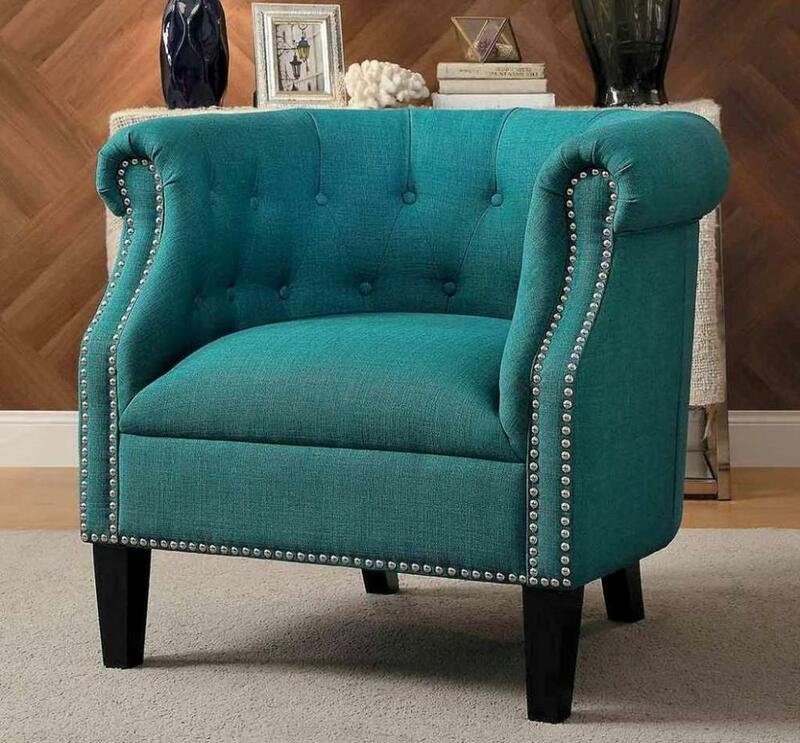 Wood legs provide contrast to the brownish gray, red or teal fabric covering. 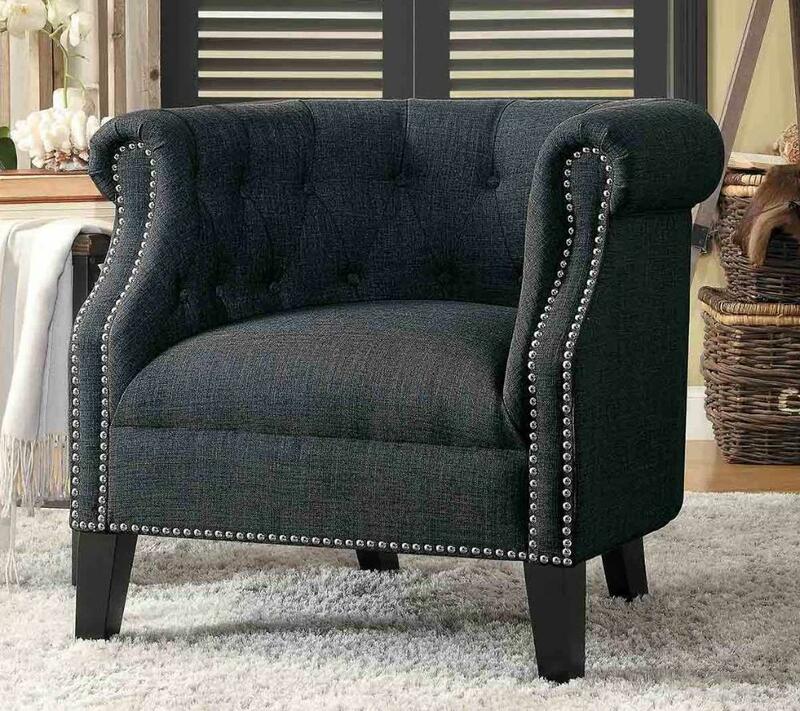 FEATURES: Brown Gray / Red / Teal Color ~ Traditional Style ~ Fabric Cover ~ Rounded Back / Nail-Head / Button Tufting Accents ~ Wood Legs.